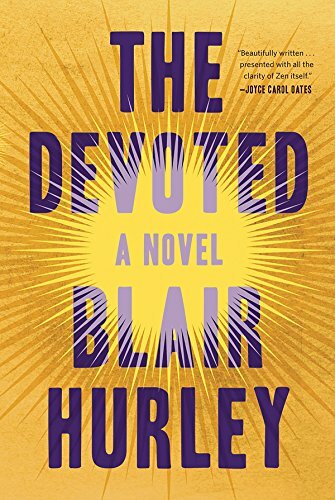 Blair Hurley’s debut novel The Devoted has a tone of genius behind every chapter and a powerful magnetism that is hard to resist for any reader thirsting for spiritual knowledge and guidance. Nicole Hennessy’s story rings with chilling truth to anyone who has ever sought a spiritual master. At 32 years old, Nicole finds herself caught in the web of a cunning Boston Zen Buddhism teacher, or roshi, who considers himself quite enlightened. The Master always says the right things at the right time: “The more beauty we see, the more love we feel, the greater the pain.” His Zendo is home to an array of lost suffering women who are looking to heal their hearts, minds and souls. Nicole is one of these lost souls. Yet she has a status that no other student holds: She has access to the private chamber and is receiving higher training from her Master. In this room, Nicole makes a vow that she will always be his obedient student and in exchange, the Master will teach her the sacred secrets of life and death. “Eventually you get tired,” Nicole tells her friend Jocelyn, “You try to run and run, but whatever you’re running from always catches you.” That is why Nicole has found her way into the sanctuary of Zen Buddhism: She cannot run from herself anymore. Nicole’s past is tragic and full of suffering. Like the Buddha who left his family behind to seek enlightenment, Nicole, too, abandons her Catholic family in Boston at a young age. She goes off on a long road trip with two teenagers, Jules and Eddie, and their primary goal is to throw off the mantle of authority and live in simplicity and poverty. “I’m sick of going to church. I can’t do it anymore. I don’t want to be Catholic . . . All the sin and shame! Am I supposed to be afraid of, of life? It’s corrupt,” Nicole tells her family before vanishing. Her soul hungers for the light and no one will stop her from finding it. During her road trip, Nicole is faced with some of the central Zen teachings she is reading about. The Noble Eightfold Path unfolds before her in scary ways, and she realizes that seeking the truth can be heartbreaking and violent. She returns home with a broken ankle and heart, and tries to be a good Catholic daughter again. As she settles into a more quiet life, Nicole’s father falls very ill. Liver cancer becomes her daily koan, and she must learn to decipher the hidden messages behind this new initiation. Can she save her father from death and forgive herself for walking out on her family? Blair Hurley’s elegant poetic style draws the reader in from the first page. The many different Buddhist references in the novel, mixed with philosophical conversations, make The Devoted a powerful novel that vibrates with reality. Nicole feels like blood and bones and so do the many secondary characters who try to understand and help her. “Can you unknow something you now know? Can you put the genie back in the bottle? It never felt like a choice. All my life, I drank the wine and it was blood. One day, I drank and it wasn’t anything anymore. I think I would have given anything for it to be blood again,” Nicole reflects in a letter to a lover named Sean. The Devoted is a painful portrayal of the dangers of losing ourselves in a spiritual path and giving our power to so-called “Masters”. It shows us how young women end up sexual victims in spiritual groups and gives us pointers on how to navigate out of the dark webs of these mind manipulators pretending to hold the truth. The Devoted will shake you and break you, but I promise you will see the light at the end. Nora Caron is the award-winning author of The New Dimensions Trilogy series of spiritual novels.